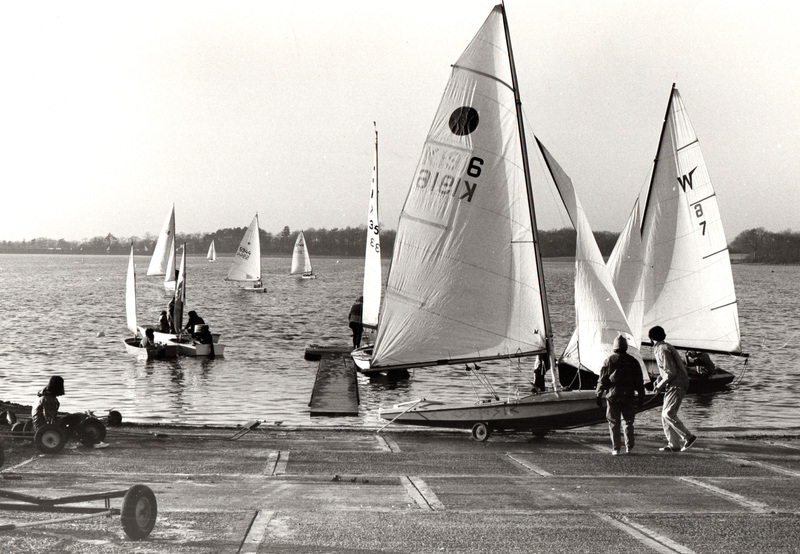 In 1969 a few keen dinghy sailors met at the Wheatsheaf pub in Bough Beech to discuss the establishment of a sailing club on the newly built Bough Beech Reservoir. 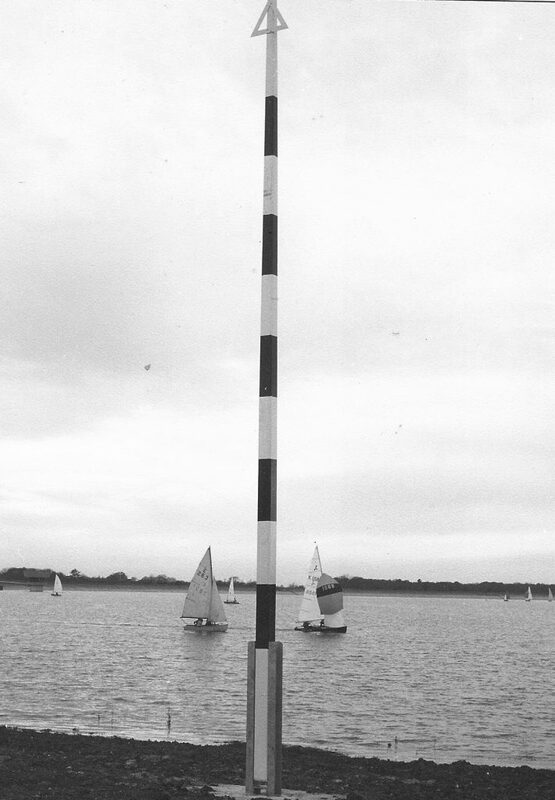 Initially only winter sailing was permitted and the members were largely winter refugees from south coast sea clubs. 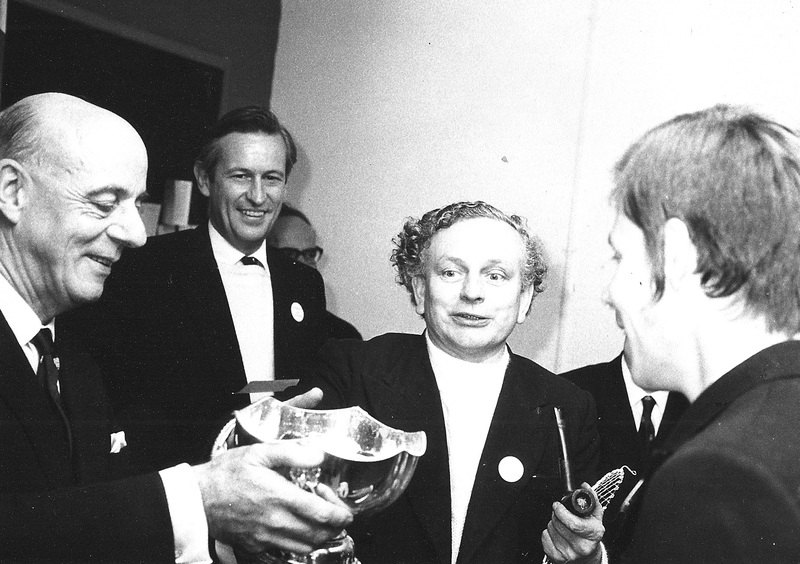 Would-be joiners were interviewed by a few members of the General Committee and then by the Commodore himself – over tea. Annual membership fees were set at £5 (£2 10s for juniors and £7 for families) and the boat storage fee was £8. Although all classes were permitted from the outset, the early big fleets were Fireballs, Wayfarers, Enterprises and Mirrors. 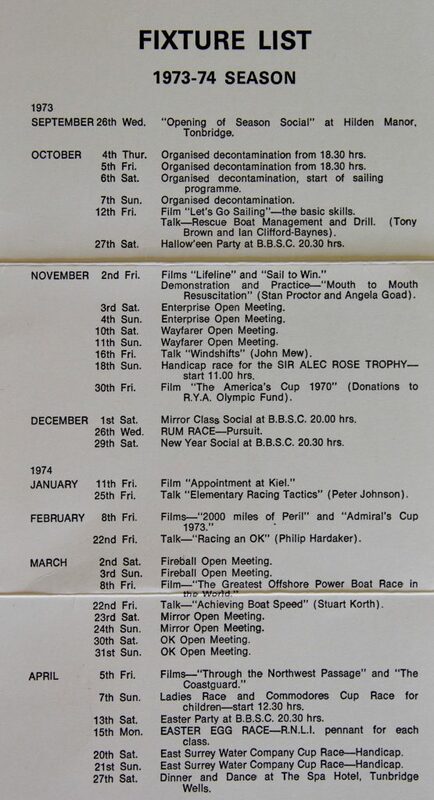 An early 70s Club Fixture List gives a good flavour of what sailing and social life was like 45 years ago. The winter season started in early October with sessions of “organised decontamination” of all the “dirty” salt water sailed boats. This seems to have taken place over several days, and the practise lasted until the mid-80s. 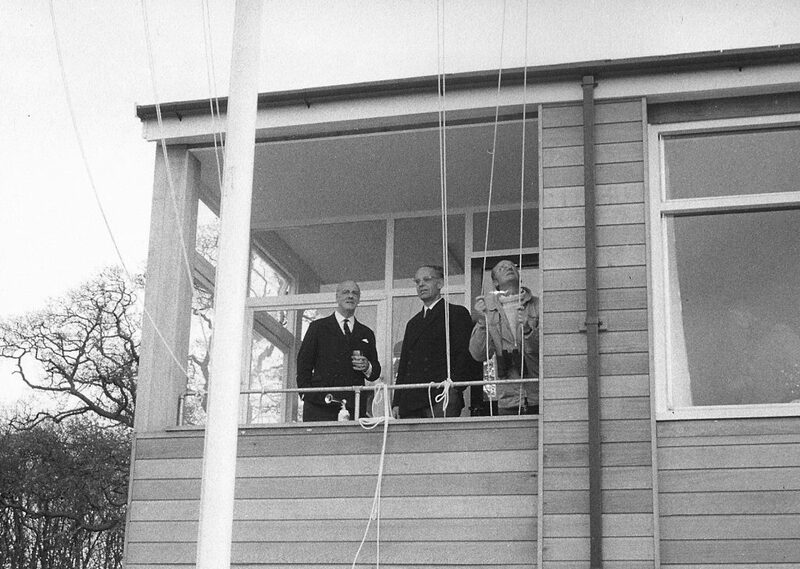 During the sailing season which finished at the end of April, the Club ran two-day Open Meetings for Enterprises, Fireballs, Finns, Mirrors and Oks. (These regularly attracted 40 boats and one year a Mirror Open Meeting had a record 90 entries.) Some Club races contested then still sound familiar such as “The East Surrey Water Company Cup”. There were monthly Film Nights and several talks on tuning and tactics. Square dancing also took place several times a season which rounded off with a formal dinner dance at a Tunbridge Wells hotel. At the end of the sailing season everything had to be removed from the site, including the curtains! 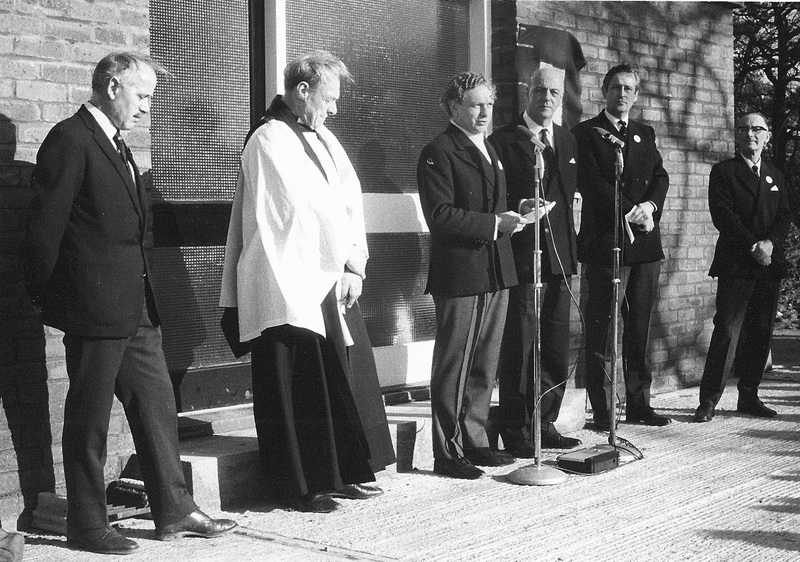 In October 1990 the inspirational Pamela Ramm was elected Commodore and she led the drive to introduce summer sailing through negotiating with the Water Company when trout fishing became unviable. Fly fishermen were replaced by Course anglers. 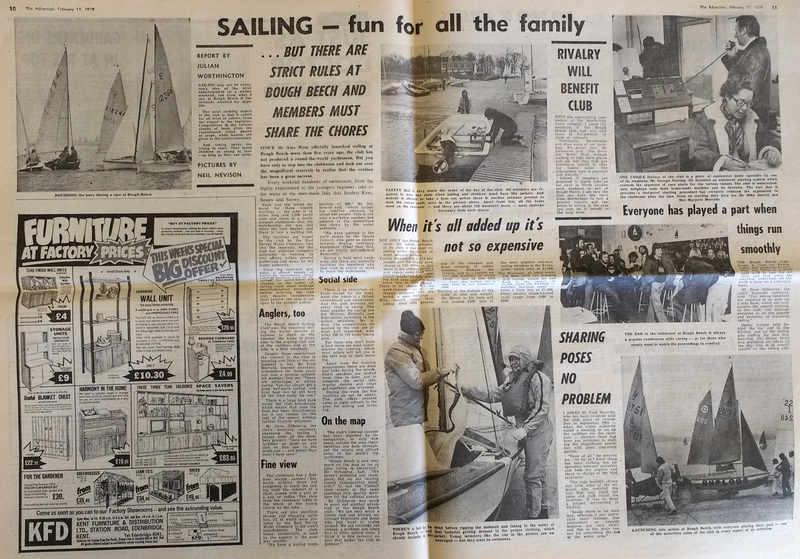 All year round sailing was approved at the AGM in October 1991 and membership more than doubled from 135 to 275. 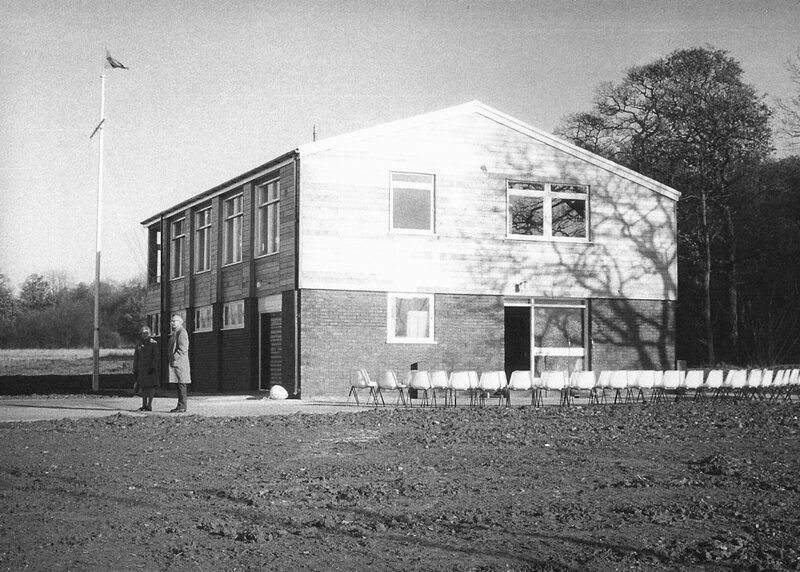 A bigger Club House was needed. Work on this started in 1993 and was completed a year or so later in its current configuration by building outwards to create extra room on the ground floor and the viewing terrace above. Up to this point the start and finish line had been a transit from the Race Box to a flagpole at the end of the lawn. “Whitchcraft”, a small ply cruiser was the clubs first proper committee boat but came to grief when the mooring failed one stormy night. Another well-known Club character, Bosun Erich Freund let the drive to buy a proper Committee Boat so we could have starts on the water and “Wot 4” was first launched on 19 April 1997.
in 2020 we will celebrate the Club’s Golden Anniversary, if anybody has any ideas on how to celebrate please contact the Communications Officer. 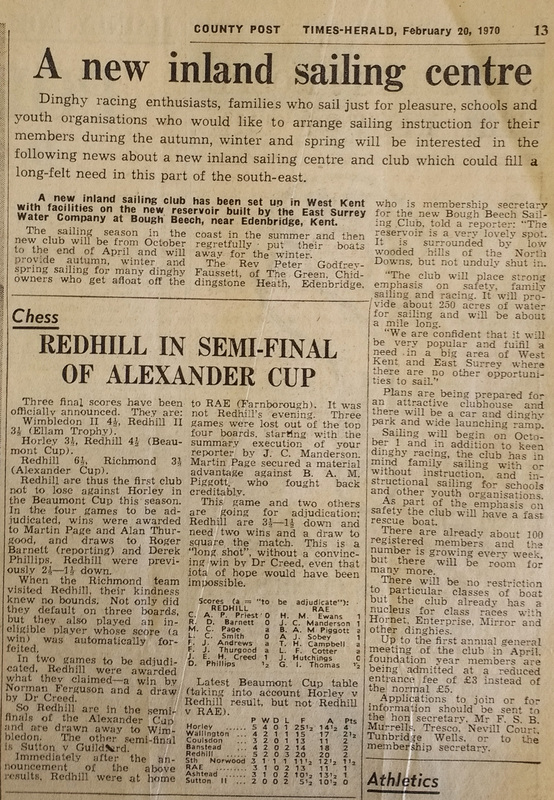 Ex Commodore Ron Whitmey has kept a log of significant events at the Club during the early years and here is a selection. 3 February 1979. Thick ice stretched some 70 metres out from the shore. The rescue dory acted as an ice breaker to clear a channel so that the dinghies could reach a clear race area. 24 February 1981. An amphibian Grumman aeroplane with engine trouble attempted an emergency landing on the reservoir but hit one of the metal aeration markers and ended up partially sinking not far from the shore. The pilot and passengers swam to safety in very cold water. The plane was parked in the dinghy park and later salvaged, repaired and flew out of Bough Beech. 20 January 1985. The lake was frozen solid and the temperature fell to -21oC. Two days later it had all melted. The next year the ice thickness was measured at four inches. 16 October 1987. The Great Storm caused havoc in the dingy park, especially among the Catamaran fleet. A Laser ended up among bemused sheep in the next field. 31 October 1990. Over 100 people attended the Club’s Novices Trial Day. 22 March 1992. 54 boats entered the Club’s 21stBirthday celebration race but faced F6-7 winds from the South West, which then veered NW F4-5. A celebration party was held with 21 large firework rockets fired into the night sky, unfortunately the cloud base was so low only 21 dull flashes were seen. 12 March 1993. 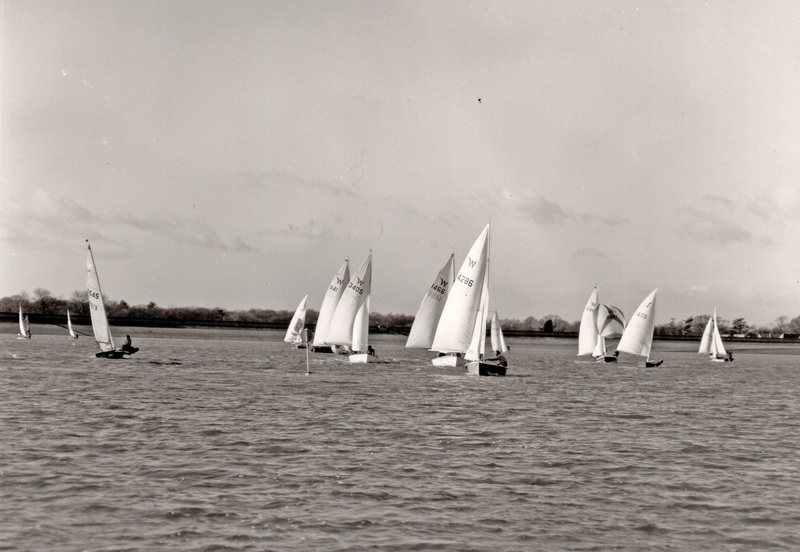 The Club’s “Spring Fling” Open Meeting attracted an entry of 82 boats.